Keep up-to-date with Vikki's latests news and projects. 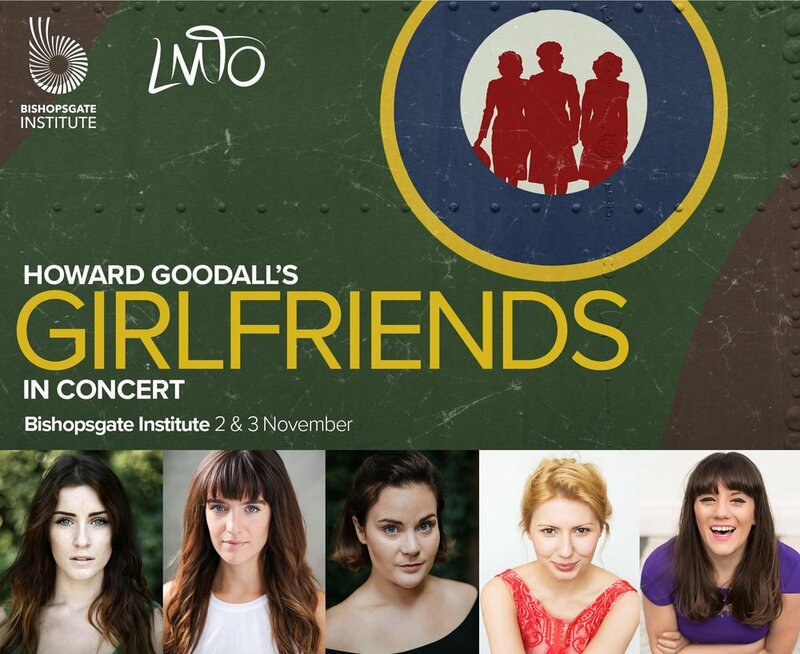 Vikki Stone stars in Howard Goodall Musical "Girlfriends". The cast album is due for release later this year. 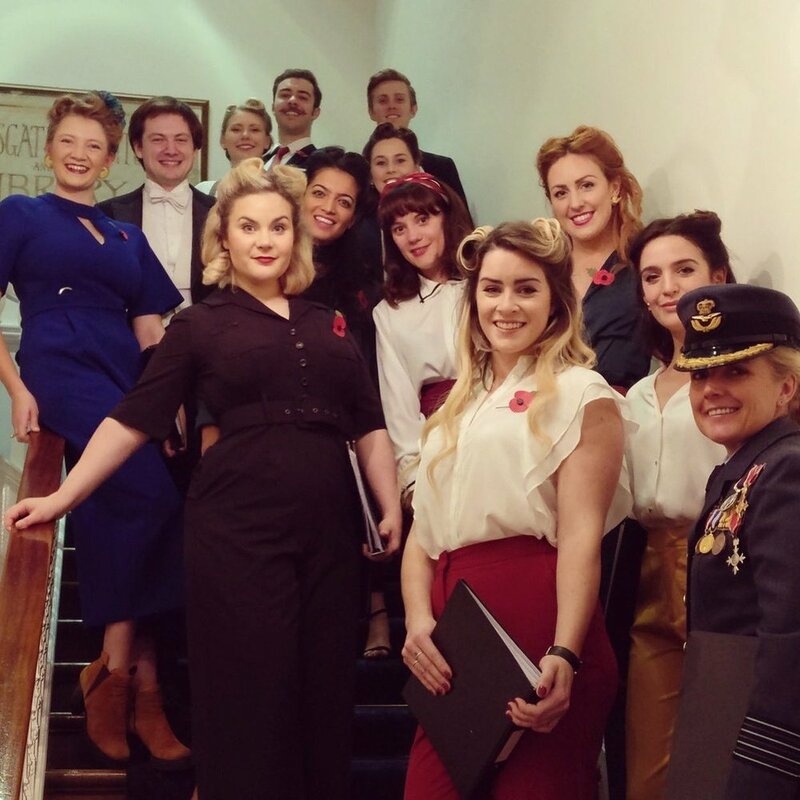 Vikki Stone has joined forces with fellow stand-up and playwright Katie Mulgrew, for a brand new musical "The Riveters". It had it's first partial work-in-progress performance at The Other Palace. Cast: Rachel Tucker, Pippa Duffy, Sally Bankes, Rachel Bell, Natasha Jayetileke and Sherrie Pennington. Vikki hosted the 18th Annual Whatonstage Awards alongside Trevor Dion Nicholas. It was a star studded ceremony held at the Prince of Wales Theatre where the winners included Olivia Coleman and David Tennant. Vikki has been nominated for Best Male Baddie in the British Pantomime Awards for her role as Fleshcreep in the Lyric Hammersmith's production of Jack and The Beanstalk. 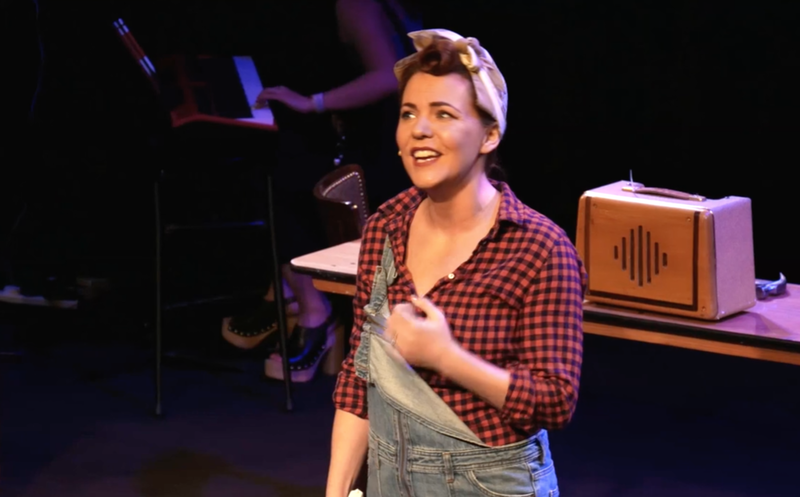 It was Vikki's second year at The Lyric Hammersmith, and she once again wowed the critics with her performance. She is collaborating with the National Youth Orchestra of Scotland Camerata for this special one off show, on the 27th August. Vikki is hosting this exciting family concert, presented by the BBC Philharmonic Orchestra in Manchester's Bridgwater Hall. Vikki Stone's new orchestral work "Concerto for Comedian and Orchestra" has been announced as part of the first Latitude Festival line-up. The Concerto for Comedian and Orchestra will play on The Waterfront stage, and will be among the very first performances of this exciting new work. Vikki Stone hosted the 17th Annual Whatsonstage awards, alongside Simon Lipkin, at the Prince of Wales Theatre in London's West End. Vikki's performance of Abaznazer in "Aladdin" at the Lyric Hammersmith has been a major hit with the critics. ★★★★★ The Times "Stone is the knockout"
★★★★ The Guardian "Vikki Stone's brilliant villain brings out the boos"
★★★★ Whats On Stage "a proper panto superstar"
★★★★ The Telegraph "it's Vikki Stone's evil, green-faced Abanazer who steals the show"
★★★★ Evening Standard "If there's a better panto performance this year, I'll be astonished"
★★★★ The Stage "Stone is Wickedly Good"
★★★★ Time Out "Vikki Stone's scene-steallingly hilarious villain Abanazer"
★★★★ Financial Times "The stand-out performance of the evening, though, comes from Vikki Stone, superb as the evil magician Abanazer." ★★★★ Gay Times "the star of the show is actually baddie Abanazer (Vikki Stone) "
The Lyric Hammersmith today announces full casting for its Christmas show, Aladdin. The Lyric's annual panto returns when Aladdin flies into Hammersmith on his magic carpet for some festive fun in true Lyric style. Fresh for 2016, the show will be full of colourful characters, live music, lots of laughs and of course the magical Genie. Award-winning comedian, Vikki Stone will play Abanazer joining Karl Queensborough who returns to the Lyric Stage as Aladdin after playing the Prince in last year's Lyric panto, Cinderella. Performances start November 19th and tickets can be booked here. The Concerto For Comedian And Orchestra is a the debut orchestral work from comedian and composer Vikki Stone. The piece has been in development for a year, and has already received support from the PRS Bliss Trust Composers Bursary, and has recently been awarded a grant by Arts Council England. The first orchestra to play the work will be the Wells Cathedral School Symphony Orchestra - a specialist music school, responsible for training some of the country’s finest young musicians and the school Vikki herself attended as a young flautist. Vikki will workshop the piece for a week with the WCS Orchestra, with the first Work In Progress performance on the 20th May 2017. This performance of the Concerto For Comedian And Orchestra will be performed in the new state-of-the art concert hall in Wells, Cedars Hall. It will be conducted by a hotly tipped young conductor Ben Glassberg, who is on the MA Conducting course at the Royal Academy Of Music, and the current assistant conductor at Glyndebourne. Vikki is the presenter of the inaugural BBC Proms podcast, in association with BBC Music and BBC Radio 3. With bi-weekly episodes published on Tuesdays and Fridays, Vikki brings you all of the backstage gossip from the world's biggest classics music festival. Vikki will play the roles of Oberon and Mia in the cult disco Shakespeare hit: The Donkey Show. Playing at Proud Camden from June 9th, and currently booking until August 21st. Vikki has been commissioned to write a choral piece for the National Youth Choir of Great Britain, which will receive it's debut on April 10th at the Royal Albert Hall. Vikki stars in BBC Music Film "Ten Pieces II" on BBC Two. Vikki has starred in BBC Music's film Ten Pieces II alongside Christopher Eccleston and Pixie Lott, and it will air on Boxing Day on BBC Two at 10:35am. The NYCGB have recently been awarded the PRS Foundation David Bedford Award for new music, and as a result, Vikki has been commissioned to create a piece of new choral music that the choir will perform the world premiere in 2016. The finished piece will be premiered at the Royal Albert Hall, London on 10 April 2016 as part of a festival programme celebrating British choral music from the Renaissance to the present day, with subsequent performances scheduled for venues across the UK, China and Hong Kong. The details of the piece are still under wraps, but watch this space for details. 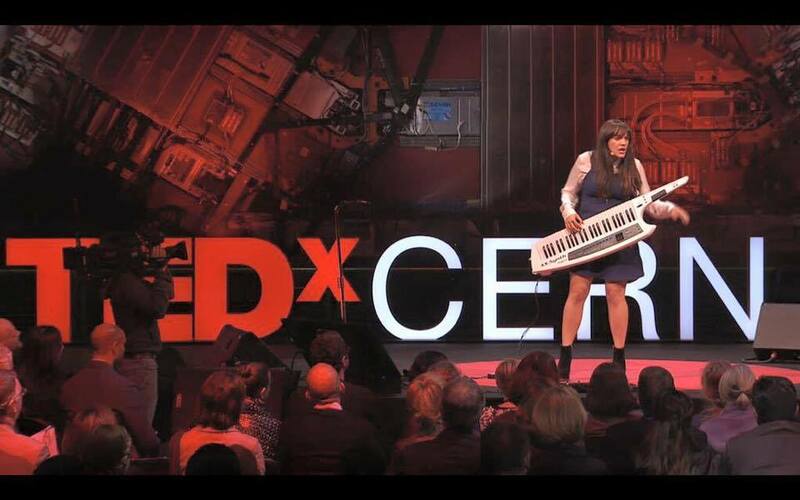 TEDxCERN is an TED event that is organised and curated by the lovely folk at CERN, and when I was asked if I wanted to be involved, of course, I immediately said yes. I don't think they quite knew what they were letting themselves in for when they said I could talk about ANYTHING, as this next picture will attest. Yes, that is me, on stage, doing a TED Talk on top of the CMS experiment at Large Hadron Collider, taking an assembled audience of academics and scientists, through the finer points of Cat Bearding. I don't want to give you too may spoilers, as the official video will be out in about an month, and you'll be able to see for yourself exactly what I did, but I will say this: it was quite different from the other eleven speakers. It was a wonderful week. I mean, I got a white grand piano brought into CERN for me. That sort of thing doesn't happen every day. Vikki has received the PRS Bliss Trust Composer Bursary to begin work on her Orchestral Piece "Symfunny Number One". This is a long ambitious project seeking to combine new orchestral music with comedy, with completion expected in 2016. Check back here for further updates.